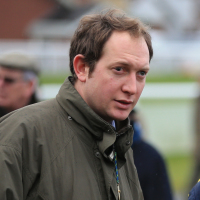 Former “Young Engineer of the Year” Ben Pauling is a fairly recent addition to the horse trainers’ roster, having begun his training career at the start of the 2013/14 season. Nevertheless, Pauling comes from a family of racehorse trainers – his father, and grandfather trained their own horses under permit – and spent six years as assistant to reigning Champion Trainer Nicky Henderson at Seven Barrows, Lambourn. When betting on horses, pedigree matters a great deal, because some trainers have much more of a winning reputation than others. It's when placing a bet it's certainly a good sign to have confidence in the horse, the jockey, but also the trainer it's received in the run up to the race. With the racing pedigree of Pauling, coming from a family of trainers, you feel like your bet is off to a good start, even before the race begins. Pauling moved to Bourton Hill Farm, near Bourton-On-The-Water, in the heart of Gloucestershire in 2013 and saddled his first winner, Raven’s Tower, at Plumpton in November of that year. The Cotswold Brewing Company, which sponsors the racing yard, brewed a new beer, called Raven’s Tower, to commemorate the feat. Pauling trained another eight winners, for a total of nine, in his first season and has improved on that number, year-on-year, ever since. In fact, in three subsequent seasons he saddled 20, 26 and 32 winners, respectively and, at the time of writing, has already saddled 28 winners in the 2017/18. Of course, his 2015/16 total included his first Grade 1 winner, Barters Hill, in the Challow Hurdle at Newbury, while his 2016/17 total included his first Cheltenham Festival winner, Willoughby Court, in the Neptune Investment Management Novices’ Hurdle. The latter, who’s already a Grade 2 winner over fences in 2017/18, made all and kept on gamely in the closing stages to hold the hitherto unbeaten Neon Wolf by a head. In four years, Pauling has seen Bourton Hill Farm expand from 20 boxes to over 70, most, if not all, of which are full. By his own admission, many of his string were bought as ‘store’ horses – that is, stoutly bred, slow-maturing types – and, as Pauling tells his owners, “if they’re not ready, they’re not ready”. What that does mean, of course, is that he has plenty for which to look forward, in the 2017/18 season and beyond. In 1993, Fahey began his training career at Manor Farm in Butterwick near Malton, North Yorkshire in premises rented from former National Hunt Champion Trainer Peter Easterby. From modest beginnings, his career really started to take off when, in 2002, he won the Cork & Orrery Stakes – now the Diamond Jubilee Stakes – at Royal Ascot with Superior Premium. Three years later, Fahey bought his current yard, Musley Bank, which at the time was a rather dilapidated 80-box affair, from Colin Tinkler, with a view to turning it into one of the best training establishments in the country. In his second full year at Musley Bank, in 2006, he amassed over £1 million in prize money for the first time. Four years later, in 2010, saddled his first Group 1 winner, Wootton Bassett in the Group 1 Prix Jean-Luc Lagardere at Longchamp amassed over £2 million in prize money for the first time. Further success at the highest level followed, with victories for Mayson in the July Cup at Newmarket in 2012 and Garswood in the Prix Maurice de Gheest at Deauville in 2014. 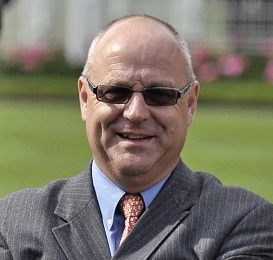 In 2015, Fahey equalled the British record for winners on the Flat in a calendar year, 235, set by Richard Hannon Snr. two seasons previously. More recently, he saddled Ribchester to win the Prix Jacques Le Marois at Deauville in 2016 and the Lockinge Stakes at Newbury, the Queen Anne Stakes at Royal Ascot and the Prix Du Moulin at Chantilly in 2017. Ribchester earned a Timeform Rating of 129, making her officially the fourth best older horse in Europe. When interviewed in 2011, Fahey said, “In ten years’ time I will be 55 and I’ve told Vicki [his wife] that she can train the horses while I put my feet up.” However, having renewed his previously hugely effective partnership with former stable jockey Paul Hanagan last season, after the latter lost his job as retained rider to Sheikh Hamdan Al Maktoum, it’s unlikely that Fahey will be reaching for his pipe and slippers any time soon. At the time of writing, he’s saddled just four winners, but also 47 placed horses, from 66 runners in 2018, but the yard doesn’t really get going until the start of the Flat season proper, in March, so Fahey has plenty of time to surpass his 2017 total. Appleby had previously worked for Godolphin for 15 years, as head lad and assistant trainer, first to Saeed bin Suroor and then to Mahmood Al Zarooni. He saddled his first winner as a trainer, Expressly, in a maiden fillies’ stakes race at Ascot less than a week after being granted a training licence by the British Horseracing Authority (BHA). Three days later, he saddled his first Group winner, Cap O’Rushes, in the Gordon Stakes at Goodwood and, in November, 2013, achieved the biggest win of his career when Outstrip won the Breeders’ Cup Juvenile Turf at Santa Anita Park, California. The following season, 2014, he saddled his first domestic Group 1 winner, Charming Thought, in the Middle Park Stakes at Newmarket. 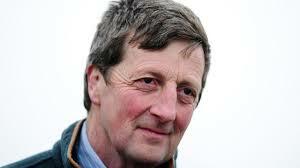 He also trained over 100 winners and earned over £1 million in total prize money for the first time. In 2015, Appleby celebrated his first Royal Ascot winner, Space Age, in the King V Stakes and trained over 150 winners and earned over £2 million in total prize money for the first time. In 2016, Appleby saddled just 70 winners, but they included Tryster in the Jebel Hatta at Meydan, Hawkbill in the Coral-Eclipse Stakes at Sandown and Wuheida in the Prix Marcel Boussac at Chantilly – all Group 1 victories – not to mention a host of other high-profile successes, including the Lincoln at Doncaster, the Victoria Cup at Ascot and the Northumberland Plate at Newcastle. In 2017, Wuheida added to her winning tally in the Breeders’ Cup Filly & Mare Turf at Del Mar, California, collecting the best part of £900,000 in prize money in the process. More recently, Appleby has been making hay at his Marmoom Stables in Dubai, where he spends the British winter, winning 10 valuable handicap, Listed and Pattern races, each worth £60,000, or more, at Meydan in the first quarter of 2018. He’s also started well domestically, with 11 winners from 32 runners, at a strike rate of 34%, so far. Jeremy Scott is a National Hunt trainer based at High Holworthy Farm in Brompton Regis, near Dulverton, Somerset. 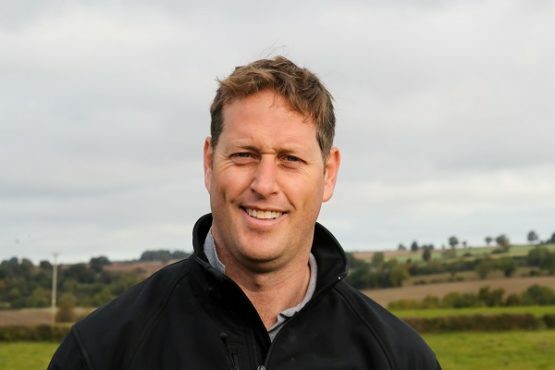 Scott first took out a public training licence in 2007, but for the previous 15 years he and his wife, Camilla, had successfully trained point-to-pointers under permit. Officially, his first winner under Rules was County Derry in a hunters’ chase at Stratford on May 14, 2001, but his first winner as a professional, licensed trainer was Gone To Lunch in a novices’ hurdle at Uttoxeter on June 7, 2007. The following season, Gone To Lunch also gave him his first major success, in the GPG Novices’ Chase at Newbury, under A.P. McCoy. All in all, Gone To Lunch won eight of his 34 starts over regulation hurdles and fences between 2007 and 2012 and earned just over £223,000 in win and place prize money. Scott saddled his first Grade 1 winner, Melodic Rendezvous, in the Tolworth Hurdle at Sandown in January, 2013. In fact, the 2012/13 was his best ever, numerically, with 30 wins, including three from Melodic Rendezvous, three from Quaddick Lake, whom he acquired from Ashley Farrant in July, 2012, and five from On The Bridge, who officially improved by 25lb between August and November. Melodic Rendezvous continued to fly the flag for the yard for the next couple of seasons, winning the Plymouth Novices’ Hurdle at Exeter and the Elite Hurdle at Wincanton in 2013, followed the Champion Hurdle Trial at Haydock and the Kingwell Hurdle, also at Wincanton, in 2014. Melodic Rendezvous also ran in the Champion Hurdle at the Cheltenham Festival in 2014, but was never travelling and trailed in seventh of eight finishers, beaten 19 lengths, behind Jezki. Charlie Longsdon began his training career at Cotswold Stud, Sezincote, near Moreton in Marsh, Gloucestershire in 2006. However, prior to setting up on his own, Longsdon worked for Oliver Sherwood, Nigel Twiston-Davies, Kim Bailey and Nicky Henderson. During his five years as assistant trainer to Nicky Henderson, he won the Alex Scott Memorial Fund Assistant Trainers’ Scholarship, which allowed him to work for Todd Pletcher in the United States for a few months in 2004, the year in which the Texan won his first Eclipse Award as Champion Trainer. One of the early successes for the yard was the victory of Songe in the Blue Square Champion Hurdle Trial at Haydock in January, 2009, which Longsdon described as “a real thrill for all of us”. Other notable winners included Up To Something in DBS Spring Sales Bumper at Newbury in March, 2012 and Paintball in the Paddy Power Imperial Cup Handicap Hurdle at Sandown just a week later. In the summer of 2015, Longsdon moved to a new, purpose-built yard at Hull Farm in Chipping Norton, Oxfordshire. In 2015/16, he saddled 62 National Hunt winners and amassed £624,143 in prize money and, in 2016/17, when he was joined by former Champion Conditional Jockey Marcus Foley as assistant trainer, increased his prize money total to £723,415. All in all, Longsdon has trained over 500 winners, including 50 or more in the last six seasons running, and amassed over £3 million in prize money. 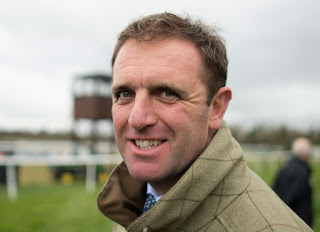 He saddled his landmark 500th winner at Worcester in October, 2017, when Aunty Ann was pushed out by amateur rider Jordan Nailor to win the Richard Wright Memorial Handicap Chase. Longsdon still has an affiliation with the United States and, in 2016 and 2017, was represented in the American Grand National. For the uninitiated, the Grand National Hurdle Stakes is, despite the name, a steeplechase run over 2 miles 5 furlongs at Far Hills, New Jersey. Longsdon saddled Far Rise to finish third in 2016 and Hammersly Lake to finish fifth in 2017, for the same owner, Robert Aplin. After 50-odd runners at the Cheltenham Festival, Longsdon is still without a winner. Welcome to horsetrainerprofiles.co.uk - your regularly updated guide to comprehensive horse trainer bios.